CIMA Operational Level - E1 - F1 - P1 - Case Study: Want a sneak preview of how your Objective Test exam will look? Want a sneak preview of how your Objective Test exam will look? A problem that many CIMA students face before taking their first exam is lack of familiarity with the specific exam format. The last thing you need on exam day is to find yourself feeling confused about how to use the exam software! Mark my words, this kind of distraction will totally disrupt your concentration and mean you end up failing! Luckily, Astranti are the experts when it comes to CIMA objective test exams - we know the exam formats that CIMA use inside out. We've decided to share our expertise with you now, so that you can get comfortable with the exam format and approach the exam with confidence. Read on to get the low down on the CIMA objective test question formats! The Pearson Vue CIMA exams use a range of different question types. Now, I've said it a thousand times but i'll say it again - the best way to get familiar with these question types is test yourself using mock exams! Astranti's mocks are specifically designed to contain the same question formats that you will see in the real thing - so when you use our mocks you are not only testing your knowledge but also your exam technique. Why not try out our free mini-mock today to see for yourself? So, lets take a look at the different question formats exactly as you will see them in the real exam. As you can see, multiple choice questions will give you a range of possible solutions to chose from, of which one will be correct. For these question you will be able to select more than one correct answer. This question format will give you a list of possible answers to chose from, in the form of a drop-down menu. Simply click the arrow at the right of the box and select your answer from the list. A drag and drop question will ask you to put a set of options into a particular order. You will simply need to drag the options into the correct order. To change your answer, you can drag the options into different spaces or drag them away completely. 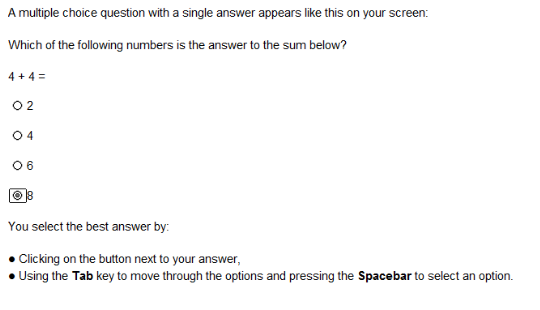 With this question format, you are required to type the correct answer into the box provided. This will be a numerical answer, and punctuation is not usually required (if it is a currency answer, the currency sign £, $ or similar will be at the front of the box so you will not need to type it). These are basically a hybrid of the previous two question formats. 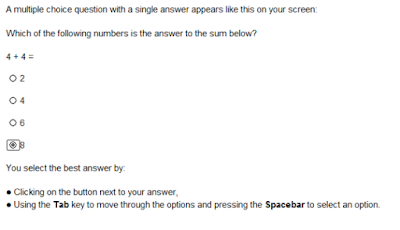 To answer these, you will need to select the correct answers to each question from the corresponding drop down menus. With this question format you will need to click on a particular area of an image which indicates the correct answer. These kind of questions will most often be used in graph questions; you may be asked to pinpoint a certain point on a particular graph. So, there you have it, those are the different kinds of questions you will be facing in your exams! Make sure you familiarize with all these formats before you sit the real thing! If you want to test and apply your knowledge prior to your exam I cannot recommend Astranti's Exam Practice Kits and Mock Exams highly enough. These resources use the question formats shown above to give you an experience as close to the real thing as possible. While our Exam Practice Kits contain 400-600 questions per subject to help you learn the syllabus inside out, our Mock Exams allow you to put your knowledge to the test with some tough questions in a real exam environment. However you chose to prepare, make sure you are aware of all the different question formats and how to use them BEFORE going into your exam. You will be given a short tutorial at the beginning of your test, but seeing this information for the first time whilst under such pressure is NOT a good idea. Take my advice and familiarize yourself with these formats - that way you can focus on the correct answers, without any unnecessary distractions! For more expert study advice as well as high quality study material, head over to our website. Also, don't forget to like our page on Facebook and follow us on Twitter! Such posts are so helpful. It gives the idea of how the questions will appear in the exam. I am also taking the bar exam this year and with the help of Mobile Bar Review Courses I now know how my exam paper will look like. Anyways, I will let my CIMA friends know about it.